China and Russia are teaming up to take on Airbus and Boeing. On Monday, the state-owned commercial aerospace enterprises of both countries formally established the China-Russia Commercial Aircraft International Co., Ltd or Craic. The partnership will develop a new twin-aisle airliner that's meant to compete with the most advanced jets from Boeing (BA) in the U.S. and Airbus (EADSF) in Europe -- the 787 Dreamliner and the A350 XWB, respectively. The new project has backing at the highest levels of both countries. Chinese President Xi Jinping and Russian President Vladimir Putin originally penned the agreement to join forces and take on the western jetliner industry in June 2016. A model of the new Sinao-Russian airliner on display. There aren't many details yet about what China and Russia are planning, but their new jet would carry about 280 passengers in three classes and fly roughly 6,500 nautical miles. It won't be ready for at least another 10 years. China's aerospace industry is on a slow, but steady, ascent. The C919 from the Commercial Aircraft Corporation of China, or Comac, made its first flight on May 5, and is meant to compete with the single-aisle Boeing 737 and Airbus A320. Russia is seeking to reestablish its own civil aerospace prowess, which thrived during the Soviet Union. Russia's state-owned United Aircraft Corporation is also developing a single-aisle airliner. 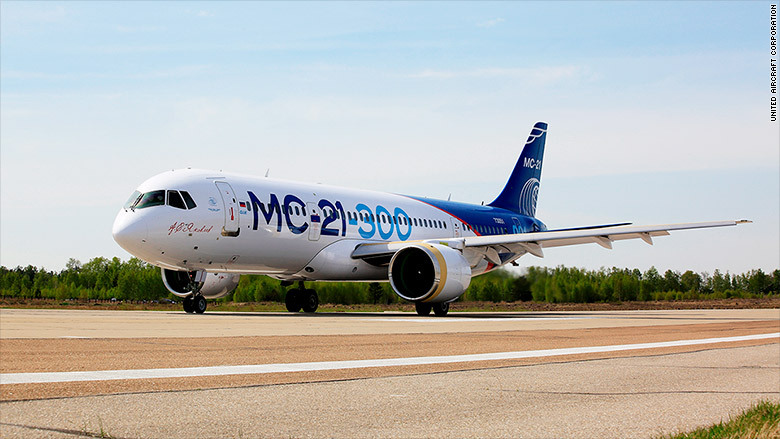 That jet, the Irkut MC-21, is expected to begin test flights in the coming weeks. But those rival jets haven't stopped the two countries from teaming up. United Aircraft Corporation's Irkut MC-21 undergoes its frst taxi and brake tests in May 2017. 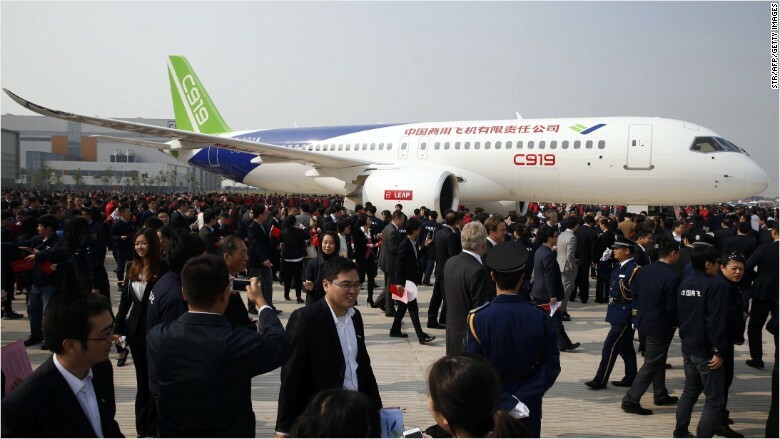 Comac's C919 at a factory in Shanghai. hina has established a variety of partnerships to help establish its aerospace industry on a world stage, including ventures with western aerospace suppliers to develop the C919. The new Sino-Russian partnership is also expected to tap western aerospace companies as well. The new Chinese-Russian airliner doesn't yet have an official name, though it's been called the C9X9 or C929. 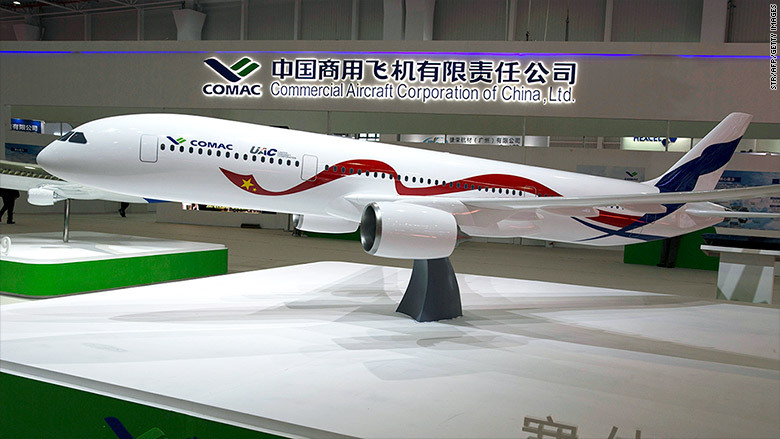 The new venture will be based in Shanghai near Comac's headquarters, according to a statement by UAC. China is on track to be the largest commercial aviation market, surpassing the U.S. by 2030. Boeing estimates China will need $1 trillion worth of new aircraft over the next 20 years, including approximately 1,500 the size of the new Sino-Russian airliner.